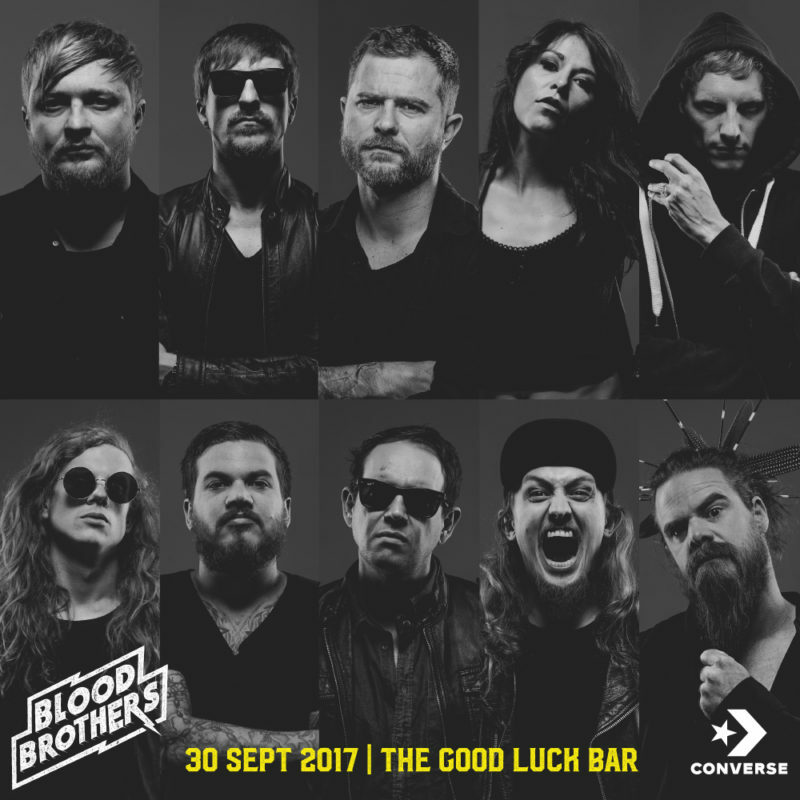 On the 30th of September 2017, 10 of South Africa’s local rock legends unite as one in the battle against cancer, in support of the Vrede Foundation for the 3rd installment of Blood Brothers at a brand new venue, The Good Luck Bar in Johannesburg. This year South Africa’s first rock supergroup features 6 brand new members to take up arms against their biggest struggle yet. In their quest for victory, they will be performing your favourite hits, as well as songs by their own heroes. The choices are bold, the talent undeniable, the result – unforgettable. Experience the rare opportunity to witness 10 of our best local rockstars together on one stage for one night only! Fighting for liberty, this year’s line-up includes veteran fighters Francois van Coke, Albert Frost, Kobus De Kock Jnr and Jason Hinch. Joining the revelry this year are newcomers Garth Barnes, Hanu De Jong, Chris Van Der Walt, Jaco Mans, Jason Oosthuizen, Loandi Boersma and fans can also look forward to a few special guest surprise performances! The Vrede Foundation’s aim is to generate awareness amongst Young South Africans (aged 15-29) regarding Cancer and at the same time raise funds to provide financial aid to Young South Africans with Cancer. We have a set of Double Tickets up for grabs. Comment on this post with your favourite Blood Brother. Winner will be picked on Friday, 15 September 2017 and contacted via email. Next articleWin tickets to Bastille’s SA 2017 tour! Francois van Coke without a doubt!! Ultimate SA Rock legend!